For the third year running, the widely read French newspaper L’Equipe organized a 10km fun run, only weeks after the popular Paris marathon. On 23 June, AGS Movers Paris along with 1394 determined participants ran from the Boulevard Sebastopol near Châtelet to Lyon Street in the Bastille district. 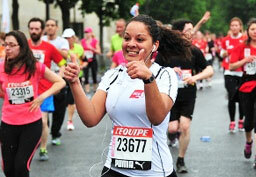 On route the runners passed magnificent landmarks such as the Place de la République and the Nation. Accessible to all, the event allowed young and old to take part, regardless of their level of fitness, which made it fun to share with family, friends and colleagues. Most of the challengers were lively amateurs, running enthusiastically through the Parisian capital. Even employees from respected companies were invited to join in on the fun. Yet, in the midst of the sea of anonymous faces, there were a few professionals. Among them was the ultra-trail running champion, Kilian Jornet who recently broke the record for her ascent up Mont Blanc. 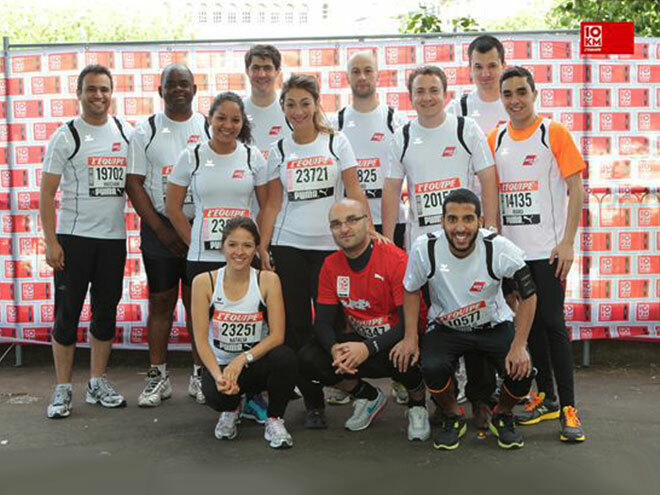 Fourteen energetic AGS Paris members dusted off their running shoes, and participated in the yearly event. Said Khatib did the team proud by crossing the finish line first with an impressive time of 42 minutes and 30 seconds. With spirits high all members from the AGS Paris team finished the race, proud of their incredible performance.